Section 1. 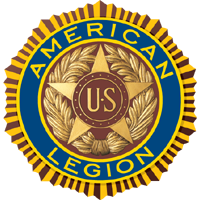 Any person shall be eligible for membership in The American Legion who was a member of the Army, Navy, Marine Corps, Coast Guard, or Air Force of the United States and assigned to active duty at some time during any of the following periods: April 6, 1917 to November 11, 1918; December 7, 1941 to December 31, 1946; June 25, 1950 to January 31, 1955; February 28, 1961 to May 7, 1975; August 24, 1982 to July 31, 1984; December 20, 1989 to January 31, 1990; August 2, 1990 to cessation of hostilities as determined by U.S. Government; all dates inclusive, or who, being a citizen of the United States at the time of his/her entry therein, served on active duty in the armed forces of any of the Governments associated with the United States during any of said periods; provided, however, that such service shall have been terminated by honorable discharge or honorable separation, or continued honorably after any of said periods; provided, further, that no person shall be entitled to membership who, being in such service during any of said periods, refused on conscientious, political or other grounds to subject himself to military discipline or unqualified service. Section 2. All persons applying for membership or applying for transfer from another Post shall have their membership application presented by the Adjutant to the membership for a vote of acceptance. Section 3. Non-residents of this state otherwise eligible may be admitted to membership in the Posts of the Department of Maine on the same basis as residents of this state. Section 4. There shall be no form or class of membership except an active membership, and dues shall be paid annually or for life. Section 5. No person shall be a member at any one time of more than one Post. Section 6. No person who has been expelled by a Post shall be admitted to membership in another Post without the consent of the expelling Post, except that where such consent has been asked for and denied by such Post, s/he may then appeal to the Executive Committee of the Department for permission to be admitted to membership in another Post and shall be ineligible for membership until such permission is granted. Section 7. Proof of Eligibility - Any person who submits an application for membership in this organization, or who, having been accepted to membership, accepts an annual renewal membership card, or who accepts any Department, District, Area Commander, or Post office, either elective or appointed, shall have been deemed to have given his/her consent by the submission of such application, the acceptance of such renewal membership card, or the acceptance of such office, to the production of official proof of eligibility of such person for membership in this organization, to the Post Adjutant and at the request of the Post Adjutant. Section 2. The Executive Committee shall consist of the Post Officers. Post Officers shall be elected annually at the meeting in April. The election of Officers shall be by hand vote or by ballot if requested and the candidate or candidates receiving the highest number of votes shall be elected to the respective office or offices for which they are a candidate. Installation of all Officers shall take place before State Convention and all officers shall assume office at the conclusion of the installation. Section 3. All vacancies existing in the Executive Committee or in any office of the Post from any cause other than the expiration of the term shall be filled by a majority vote of the remaining members of the Committee, and a person so appointed shall hold office for the unexpired term of the officer whom he/she succeeds. A vacancy shall exist when an officer is absent from their post for three (3) consecutive meetings without a valid excuse. Section 1. The Post Executive Committee shall meet for organization and such other business as may come before it at the call of the Post commander within ten (10) days after the installation of the new officers. Thereafter the Post Executive Committee shall meet at the call of the Commander at least every month on the third Tuesday of the month and as often as said Commander may deem necessary. The Commander shall call a meeting of the Post Executive Committee upon the joint written request of three (3) or more members of said Post Executive Committee five (5) members of the committee shall constitute a quorum. A notice posted in any of the local newspapers, electronic media, Post website, phone call or on the Legion bulletin board shall constitute notice of called Executive Board meetings. Section 2. The Post Executive Committee shall hire such employees as may be necessary; shall authorize and approve all expenditures; shall require adequate bonds for all persons having the custody of Post funds; shall hear reports of Post committee chairpersons; shall have soul power to suspend or expel of a member of this Post and generally shall have charge of and be responsible for the management of the affairs of this Post. For all legal matters or questions requiring a legal opinion the Executive Board should request the advice of the Post or State JAG. Section 3. Between regular meetings of the Post, the Executive Committee shall be authorized to transact any business of the Post which requires immediate action and cannot be delayed until the next regular meeting. The Executive Committee shall have the Post financial records audited at least once a year or as deemed necessary by 2/3 vote of the membership present at any regular Post meeting. Said audit shall be conducted by a neutral party. It shall be the duty of the Post Commander to preside at all meetings of the Post and to have general supervision over the business and affairs of the Post. The Commander shall be the Chief Executive Officer of the Post, shall be chairman of the Executive Committee and shall be Ex-officio member of all committees of the Post unless otherwise specified in the Constitution and B-Laws. He /She shall perform such duties as are allocated to him/her under the provisions of the constitution and By-Laws of the Post, and such other duties as directed by the Post members. Additional duties as may be referenced in the Officers Guide. The first Vice Commander shall assume and discharge the duties of the office of Commander in the absence or disability of, or when called upon by the Post Commander. He /She shall have charge of all matters pertaining to the membership of the Post, including the procuring of new members, reinstatement and eligibility of members. Section 3. Second Vice Commander. The Americanism Officer will follow his/her obligation in the post officers guide or as may be necessarily modified by the Post Commander. The Adjutant shall have charge of and keep a full and correct record of all proceedings of all Post and Executive Committee meetings, keep such records as the Department and National organization may require, handle all correspondence of the Post under the direction of the Commander, maintain a mailing list, prepare and distribute any official orders, announcements and instructions and have custody of all Post records. He/She shall maintain all membership lists, issue membership cards and coordinate said information with the First Vice Commander. The Finance Officer of the Post shall be responsible and be accountable for all finances of the Post in his/her care and shall see that they are safely deposited in a local bank or banks. He/she shall report at each regular meeting of the Post the conditions of the finances of the Post. He/she shall prepare and present to the Post not later than the Post meeting in October, a budget showing the estimated income and expenditures of the Post for the Legion fiscal year (Jan. 1 through Dec. 31). The proposed budget shall be presented to the Post for consideration and action when accepted in final form. It shall be a guide for the expenditures of the Post for the coming year. He/she shall sign checks disbursing the monies of the Post. He/she shall present his/her books to be audited at the request of the Executive Board. He/she shall be bonded in such sum as shall be fixed by the Post Executive Committee. The Historian shall be charged with maintaining the historical records and incidents of the Post and preform such duties as outlined in the Officers Guide. The Chaplain shall be charged with the spiritual welfare of the Post comrades and will offer divine but non-sectarian service in the event of dedications, funerals, public functions, etc., and adhere to such ceremonial rituals recommended by the National or Department headquarters. The Sergeant-at-Arms shall supervise the registration of members attending all Post meetings, shall introduce visitors, shall allow no unauthorized persons to enter the meeting hall, shall preserve order at all meetings, shall be custodian of the Colors, and shall preform such other duties as may be from time to time assigned to him/her by the Commander or Post Executive Committee. It shall be the duty of the Sergeant-at-Arms to conduct all ceremonies as per the Officers Guide/ Ceremonial Guide and all matters pertaining to all of the Posts firearms. Upon election to this office the new Service Officer shall immediately contact the District Service Officer for training. The Service Officer shall be responsible for maintaining contacts with all Post members and such veterans as may be recommended to his/her attention that may need such assistance as may be available from this Post. When financial assistance appears necessary in his/her judgment he/she may request funds from the Executive Committee under limitations and procedure as set forth in the constitution and by-laws. He/she shall be sufficiently cognizant of the government accepted obligation to service men and women as well as their dependents, that, in the matters of compensation, medical treatment, pensions, specified allowances in case of death, civil service preference and other such obligations, he/she may personally assist or advise members of this Post and other veterans as to the necessary procedures or may refer them to the proper bureaus or agencies for assistance. The Americanism Officer will follow his/her obligation in the Post officers guide. If no one is elected, this office will fall under the First Vice Commander. Delegates and Alternates to Department Convention shall be appointed by the Executive Committee at the first regular meeting in May unless the Department Convention is held prior to that date, in which case the Delegates and Alternates will be elected at the regular meeting preceding the Convention. The Commander shall be a delegate by the authority of his office and shall be chairman of the delegation at the annual Department Convention. The House Committee shall consist of three to five (3-5) members, which are appointed by the Executive Board on the First meeting in January of each year. This committee shall have supervision of the Post Home, shall maintain a perpetual inventory of all furnishings and equipment owned by the Post, shall make recommendations of any rules and regulations deemed necessary to the government and administration of the Post, shall have the authority to employ and discharge a Facility Manager and other employees as deemed necessary for the operation of the Post (subject always to the will of the Executive Committee). Terms of said employment to be subject to the approval of the Executive Committee. This Committee shall appoint its own chairman. This Committee shall meet each month or as deemed necessary and shall report to the next regular meeting of the Executive Committee and members present any action that shall be recommended by the Committee The House Committee, through the Facility Manager, shall have the authority to pay the facility employees, bills, maintenance costs and spend up to two thousand ($2000.00) on capital expenditures without prior Executive Committee approval. At the first regular meeting in January of each year, a Committee consisting of one to three (1-3) members shall be elected by the Post to prepare a list of nominees for the various offices and committees of the Post for the ensuing year, consisting of not more than three (3) nominees for any one office. Such list of nominees shall be presented to the Post at the last regular meeting of the Post in Feb and again in March, at which time said list of nominees may be added to from the floor. The list of nominees as it stands at the close of first regular meeting in March shall be the official list of nominees to be placed upon the ballot of the annual election of officers of the Post at the regular meeting in April. This Committee shall consist of three (3) members. The purpose of the Committee is to record, mark, and decorate graves of deceased veterans in Naples-Casco-Raymond cemeteries; to render service and comfort to bereaved families: to provide American Legion funeral services when requested; to coordinate for ceremonies. to organize, train, promote and supervise a uniformed group, such as a burial detail, color guard, firing squad, etc. The Committee shall contact the proper authorities who care for graves of our deceased members buried in other cemeteries to proper care and shall place Legion markers and flags on all gravies of members. Prior to Memorial Day the Committee shall place flags or other decorations on all graves for such and will remove flags thirty (30) days after Memorial Day. The members of this committee hold permanent appointments. Should it become necessary, this committee may be enlarged by the vote of the Executive Committee. Vacancies in and authorized additional members of this Committee shall be filled by the appointment of the Commander. This Committee shall be responsible for the operation and affairs of Legion Bingo. The Chairperson shall enlist as many people as needed for the operation of Bingo games and procure needed prizes and material required for Bingo operations. The Bingo Chairperson will be allowed to withhold up to $1400.00 weekly from Bingo funds for weekly operation and the remaining will be deposited in the money drop located in the Post office. Such funds shall be deposited in a local bank within two (2) days of the game in the Legion Bingo Checking account. The Chairperson shall be responsible for applying for needed Bingo licenses and submitting such reports as are required by the State of Maine and a copy to the Executive Committee via the House Committee. A weekly financial report shall also be submitted to the Post Finance Officer. Section 4. Juvenile Welfare Committee. These duties shall fall under the Second Vice Commander. The Second Vice Commander will work closely with the Service Officer when needed. Minor assets Shall be defined as items or property with a value of $2,000 or less. No minor asset shall be disposed of, given away or sold without the expressed consent of the E-Board with the exception of items that are beyond repair. Major assets are defined as items or property with a value exceeding $2,000. No Major asset shall be disposed of, given away or sold without a vote of the Membership. Members shall be notified by posting a notice on the Post bulletin board, electronic notice such as but not limited to Facebook or E-Mail and print media two week before the vote. Section 1. Disciplinary action taken at the Post level by the Executive Committee may take many forms ranging from verbal warnings to suspension or expulsion. Suspensions and Expulsions from American Legion Post 155 shall be dealt with under the following procedures. Section 2. Once the Executive Board has voted to suspend or expel a Post member a registered letter will be sent to that member. Once the Post has voted to expel, ban, or otherwise remove an American Legion member the Post Commander through his Adjutant shall notify the Adjutant of the Department of Maine. Proper evidence for said action, i.e., copy of the Post’s Constitution and By-Laws, copy of minutes of meeting or meetings that document the vote for said action, in accordance with the Post’s Constitution and By-Laws, copy of the letter sent to the member, and any evidence relevant to said action. Section 3. Any member involved in action under this Section shall be given the opportunity to appear before the Posts Executive Committee to appeal any action taken under this Section. Once notified, failure to appear will get an acceptance of findings under this Section. If the member refuses to sign for the letter of notification of hearing, the member shall be judged in absentia after 10 (ten) days from written notice. Section 1. All monies derived from any gambling game shall be accounted for by at least two (2) Legion Members. No gambling game shall exist that does not produce a profit for the Post. Section 1. The Post Commander, immediately upon taking office each year, may appoint any officers or special committees deemed necessary during his/her elected year. A. The Constitution and By-Laws Committee shall consist of not more than four (4) members. Members shall be appointed by the Commander of this Post immediately after taking office. This Committee shall be charged with keeping one set of the Constitution and By-Laws of this Post in such order that the Committee shall always be cognizant of the exact terminology of the Constitution and By-laws, inserting or modifying the proper article and section that may be adopted by the Post from time to time. The Committee shall act in an advisory capacity so that no inconsistencies or incorrect terminology be incorporated in any amendment. Upon the request of the Commander, any adjustments and generally proposed amendments to any articles and/or sections of the Constitution and/or By-Laws shall be submitted to the Post Membership at a defined regular meeting. This meeting shall follow established procedures of the Post, requiring notice to the entire membership of said proposals and/or actual amendments. All proposals/amendments shall adhere to the National Constitutions and By-Laws of the American Legion and of the Constitution and By-Laws of the Department of Maine. A copy of the Constitution and By-laws shall be on file with the Post Adjutant and the Department of Maine and shall be readily available for information. This Committee is also charged with maintaining a record of any methods or procedures voted by the Post and being prepared to advise the Commander in regard to the same. B. An Auditing Committee may be directed by the Commander or Executive Committee. The Committee shall submit a report at the regular meeting in May of its audit of the Post funds or at such other times as may be required. Section 1. There shall not be contracted any bill or financial long-term obligation in the name of the Post by any member or individuals unless said bill or financial obligation has been approved by the vote of the Post or has received prior approval of a majority members of the Executive Committee. Section 2. No bills other than necessary current Post expenses or State and National Dues are to be paid by the Finance Officer. Section 3. It shall be the duty of any officer and/or committee chairman to collect all statements covering charges against this Post in connection with special work or projects under the direction of any such officer and /or committee chairman, to indicate approval of payment of same by signature, and to deliver same to the Finance Officer for further procedure of approval and payment. Section 4. No member of this Post is authorized to commit this Post to any financial responsibility without proper authorization of the Post, and further that each committee chairman and/or officer is responsible for the accumulation and approval of each and every financial statement charged to this Post in connection with the special work or project of the particular committee under his/her direction. Section 1. All resolutions of State or National Legion scope presented to this Post by a member or reported to this Post by a committee shall merely embody the opinion of this Post on this subject and copy of same shall be forwarded to the Department Headquarters before any publicity is given to or other action is taken by this Post. Section 1. The regular meetings of the Post shall be held at the Post Home on the first Tuesday of each month, at which time may be transacted such business as may be properly brought up for action. Section 2. The date of a future regular meeting may be changed to another specified date, or the date of a regular meeting may be waived by an affirmative vote of two-thirds of all members attending and voting at any regular meeting of the Post. Section 3. The Post Commander or a majority of the Executive Committee shall have the power to call a special meeting of the Post at any time. Section 4. Upon the written request of five (5) members of this Post, the Executive Committee shall call a special meeting of the Post. Section 5. The last regular meeting in April shall be the annual meeting for the election of officers and for other business designated for transaction at the annual meeting. All newly elected Officers shall be installed in the month of May and assume their office responsibilities after being Installed. Outgoing officers shall train the new incoming officers, referencing their duties, paperwork and responsibilities as needed and requested by the incoming officers. Section 1. All proceedings of this Post shall be conducted under, and pursuant to, Robert’s Rules of Order except as herein otherwise provided. Section 1. The Post at any regular meeting may create or adopt rules and regulations in the form of an “Executive Memo”, not inconsistent with the Constitution or By-Laws of the Post, to properly conduct and carry on its business and govern the proper use of the Post Home. Such memos must be entered into the meeting minutes as a part of the permanent record. Section 1. Any unit and/or activity attached to or affiliated with the Post, except the Auxiliary, shall annually (unless otherwise requested) render full report of its or their funds and properties and in the event, that any such unit and/or activity shall cease to exist for any reason, the remaining funds and other assets of said unit and/or activity shall become property of the Post unless distribution of any assets are made by the unit prior to deactivation and notice of such distribution made to the Post in writing. Section 1. These By-Laws may be amended at any regular meeting of the Post by a vote of two-thirds of the members of said Post attending such regular meeting provided that the proposed amendment shall have been submitted in writing signed by five (5) members of the Post in good standing, shall have been referred to the Standing Committee of the Constitution and By-Laws, and shall have been read at the next regular meeting of said Post. Furthermore, that notice shall have been made available to all Post members at least five (5) days in advance of the date when such amendment is to be voted upon. Notifying said members that a date, when said amendment is to be voted upon, may be performed by posting a notice in the local paper and in-house Bulletin Board as well as through electronic media. Section 1. This Post shall not enter into any contract with any outside promoter in connection with any activity which may involve any kind of liability, unless said outsider promoter shall furnish bond of proof of financial responsibility sufficient to cover any such liability. This Article does not pertain to music bands. Section 1. All prior By-Laws and Amendments thereto are revoked and shall become null and void as of effective date of these By-Laws, which is declared to be the adjournment of the regular meeting of the Post at which said amendments are approved.